All decks are made by me. I will be posting them in order, from best to worst. 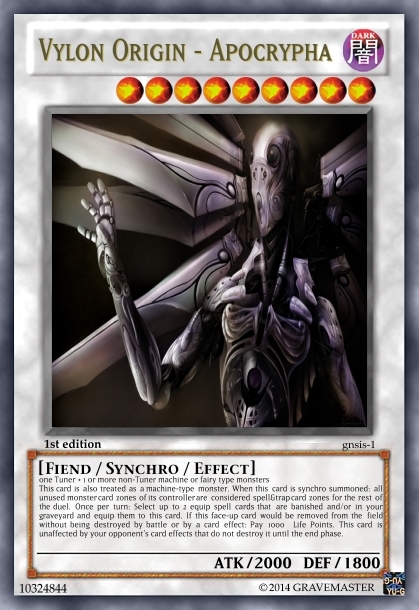 You will notice that except for 3 of them, the rest of these are all connected to the Entity archtype, which I am treating kinda like how Konami treats the "World Legacy" cards. If you have any suggestions or questions, I'm all ears. 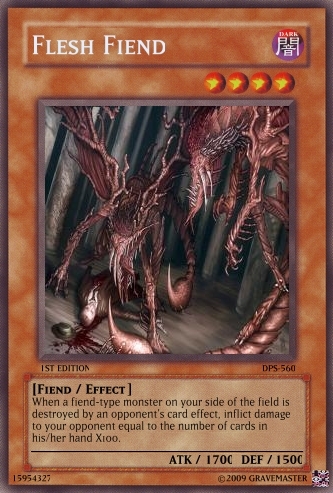 I'm especially interested in people's opinions about the Yamimakai normal monsters' flavor text (king excluded of course). All the cards I have designed up to now, the deck will be updated if I make anything new. Thoughts? 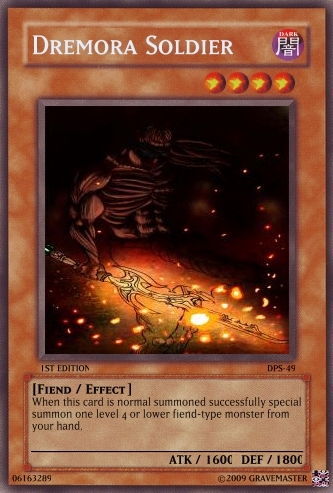 Well I've always felt that Vylons are sort of "evil" machines despite all of them being light-attribute, so I decided that their final boss (as in "after summoning this you don't get to summon other things") should be dark fiend. 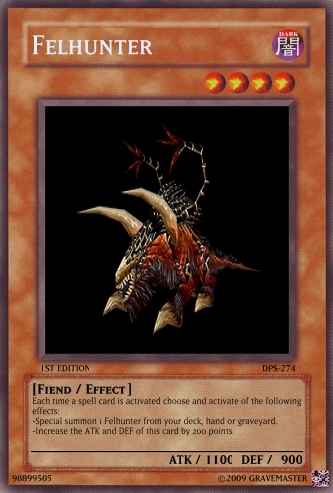 This card is also treated as a machine-type monster. 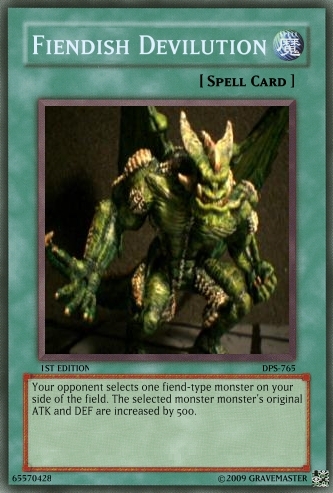 When this card is synchro summoned: all unused monster card zones of its controller are considered spell&trap card zones for the rest of the duel. 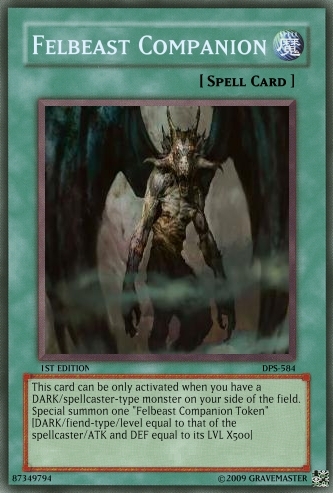 Once per turn: Select up-to 2 equip-spell cards that are banished and/or in your graveyard and equip them to this card. 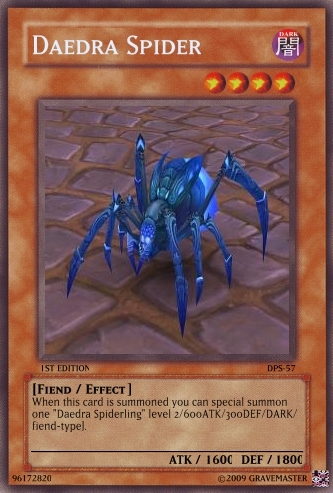 If this face-up card would be removed from the field without being destroyed by battle or by a card effect: Pay 1000 Life Points: This card is unaffected by your opponent's card effects that do not destroy it until the end phase. 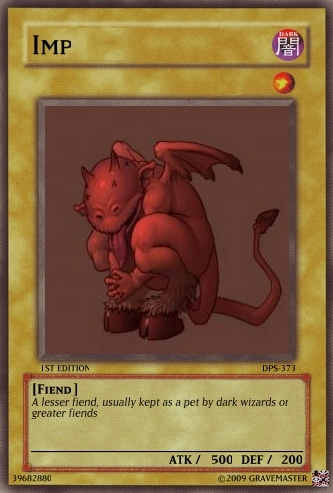 Well here's a list of all the fiend-related cards I've created. 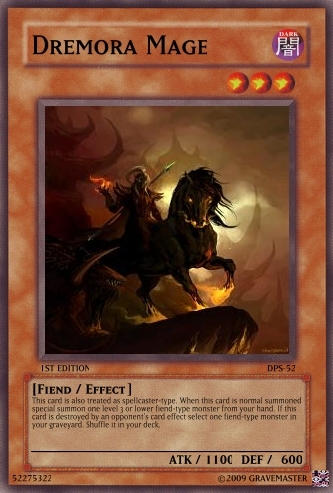 If you think they're overpowered or that I've made some grammar mistakes please say so.